It seems that there remains some confusion on just who is required to have a mold license as well as just what direct supervision is. Let’s tackle the first question as to who is required to have a mold license. Simply stated: Anyone who performs mold assessments or mold remediation must either have a mold license or be directly supervised by a licensed mold assessor or licensed mold remediator. Seems pretty straight forward doesn’t it. The Florida Department of Business and Professional Regulation has it straight. Representative Workman was clear in his drafting the law. Several thousand mold professionals have it clear. So why do many in the industry continue to provide unlicensed mold assessments and mold remediation? Why is it that many continue to print their license number on someone else business card? Could it be ignorance of the law or is it just greed at the consumer’s expense? I personally believe that it’s greed. It’s easy to send an unlicensed assessor to a home to collect a few mold samples or walk a dog through the home waiting for alerts. There is very little investment in an untrained assessor or a trained mold sniffing dog compared to a truly trained, licensed, and insured mold professional that can actually provide a written mold report or professional mold remediation. And yes I’m called to review the unlicensed pump jockey’s poor attempts at passing off a lab report as a mold assessment all the time. I peer review botched assessments from unlicensed mold assessors and botched remediation from unlicensed mold remediators every week. And unfortunately I’ve been receiving calls from clients that paid to have a mold dog walked through their home and receive nothing more than areas of alert from an unlicensed dog handler. I guess the handler expected the license requirement to be the dog’s responsibility. Which brings us to the direct supervision confusion. Yes the dog is exempt from the requirement of a mold license but only if he is directly supervised by a licensed mold assessor. However some feel that direct supervision can be provided from Miami while the unsupervised can be performing an assessment in Orlando. Not quite. Let’s put it this way. I’ll provide your children, let’s say ages 2 and 3, direct supervision at a local theme park. I’ll begin with asking you to drop them off at the gate because my direct supervision will be via my office chair across town. Not going to happen. No confusion regarding direct supervision in that scenario. How about going to the beach and seeing a sign on the lifeguard chair stating that the direct supervision is at lunch. Is he still providing direct supervision in his absence? Not a chance. Again no confusion regarding direct supervision in that scenario. 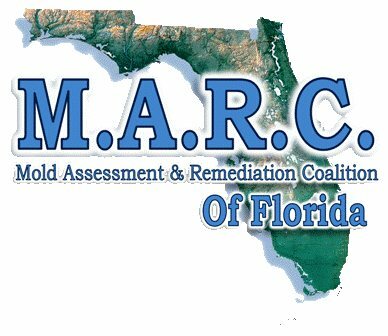 So why is it that a remediation contractor in south Florida thinks that he can directly supervise remediation in north Florida? Greed gets my vote again, greed at the consumer’s expense. It’s easier to send an unlicensed, untrained, uninsured mold remediator to provide unsupervised remediation than to train, license, and insure the professional remediator's. Let’s face it many in the unlicensed world of mold professionals spend all their money on wrapping their flashy vans not training their employees. So now it has become necessary for the state to attempt to add two words to the law in an attempt to make direct supervision a bit more clear to those still looking for a licensing loop hole. The two words are “on site”. That’s right we will be attempting to make the intent of the law more clear by adding the two words on site to the law. It would read on site direct supervision. That should clear that up. But what about the Division 1 Contractor exclusion and apparent confusion. The law states the following. (d) Perform or offer to perform any mold remediation to a structure on which the mold assessor or the mold assessor’s company provided a mold assessment within the last 12 months. This paragraph does not apply to a certified contractor who is classified in s. 489.105(3) as a Division I contractor. However, the department may adopt rules requiring that, if such contractor performs the mold assessment and offers to perform the mold remediation, the contract for mold remediation provided to the homeowner discloses that he or she has the right to request competitive bids. This is the part of the law that GC’s refer to when they attempt to justify their not requiring a mold license. Just how do they miss that section? The declaratory statement provides clarification on the fact that a Division 1 contractor can provide mold remediation so long as it is within his scope of work as a Division 1 contractor. A Division 1 contractor cannot provide mold remediation following a written mold remediation protocol under a general contractor’s license. The division 1 contractor is no longer working within the scope of a Division 1 contractor. The Division 1 contractor is working within the scope of a mold remediator which requires a mold remediator’s license. So guys let’s just get licensed and provide direct supervision for the good of the Florida consumers that are paying for our professional services.